The boardwalk at Moonstone Beach may be one of the most romantic strolls on the California Coast. 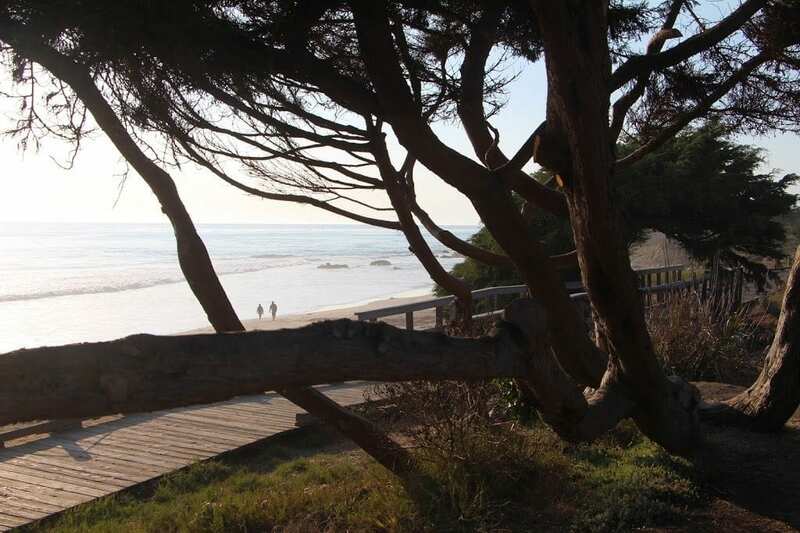 Located off Highway 1 in Cambria, just south of Hearst Castle, a mile-long wooden boardwalk weaves among cypress trees atop a gorgeous stretch of seashore lined with sandy coves and rocky headlands. There are several benches along the path for admiring the view as well as sets of stairs that lead down to the coves. Beachcombers can explore the tide pools and watch for dolphins and sea otters frolicking in the waves while birds soar overhead. Across the road from the path, the east side of Moonstone Drive is lined with a number of boutique hotels. Three of my favorites include the Blue Dolphin Inn, Moonstone Cottages, and FogCatcher Inn. The recently-renovated Blue Dolphin Inn exudes warmth and sophistication, blending modern furnishings with an exotic old-world traveler’s touch. The lobby and halls are lined with contemporary art and tropical floral arrangements. Each of the hotel’s 20 rooms feature Jacuzzi tubs, gas fireplaces, Keurig coffeemakers, cozy robes, and slippers to take home. 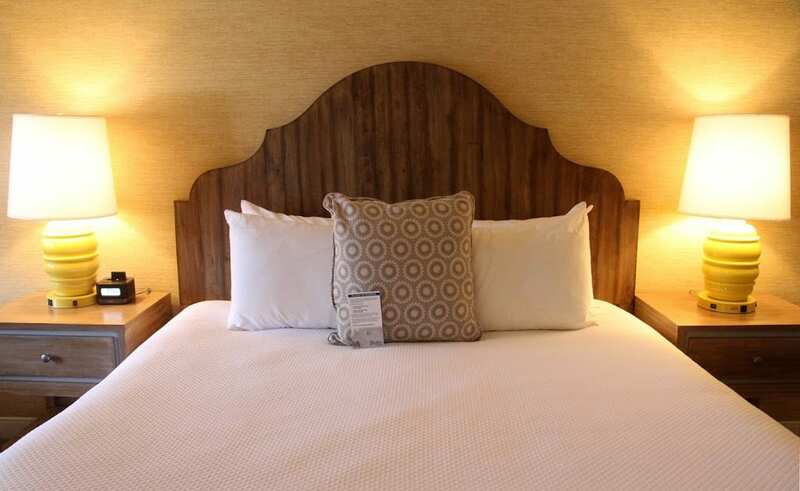 The standard rooms are handsomely appointed with wood and leather-upholstered headboards, elegant linens, recessed lighting, white plantation shutters, vintage-style fans and clock radios/iPod docking stations, framed photographs, and antique maps of exotic locales. The hotel’s six, spacious full ocean view rooms go a step further, evoking exotic beach destinations. One of the upper-level rooms named for South Africa’s southwestern coast, the Saldanha Bay features a king-sized poster-bed with thin white curtains knotted around the canopy rails. 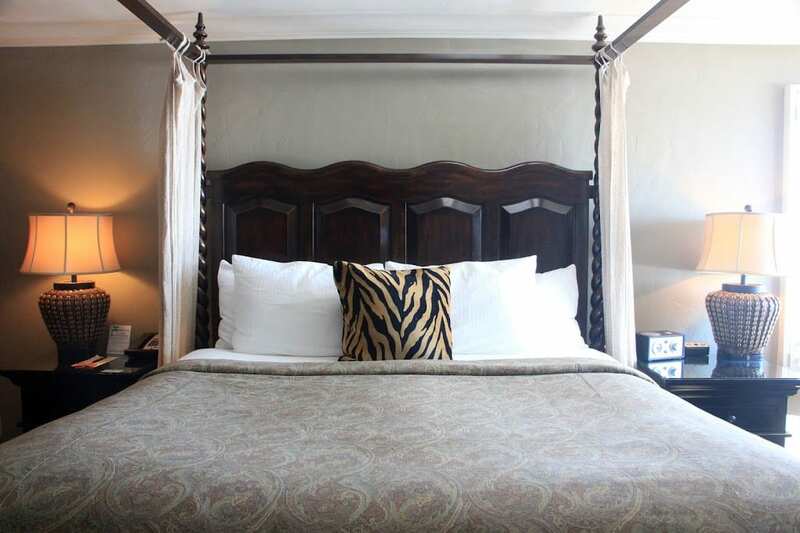 The room also has a set of leather chairs overlooking the ocean, African art, shell-beaded lamps, and tasteful tiger-print throw pillows and foot bench. 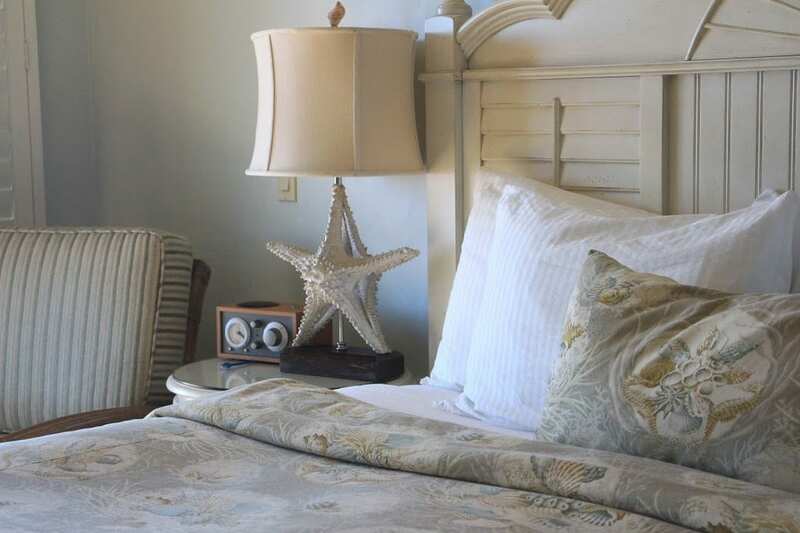 One of the lower-level ocean-view rooms evokes Cape Cod with white-washed furnishings and starfish lamps. 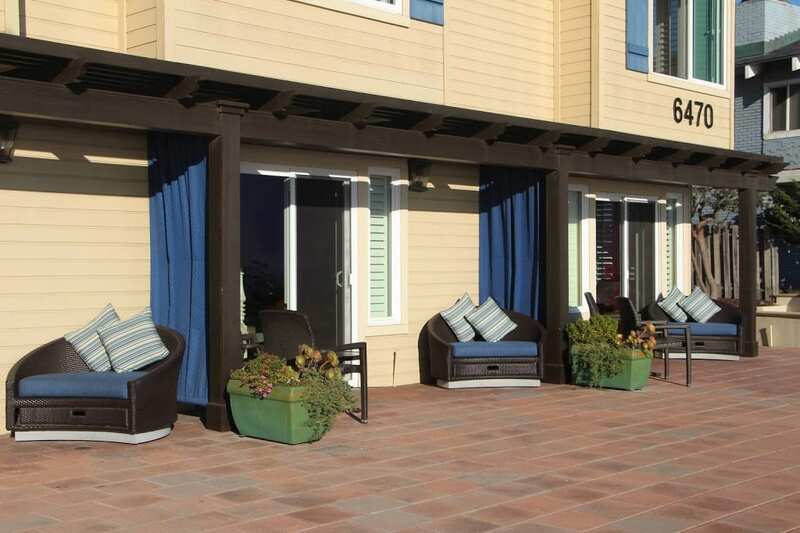 Each of the lower-level rooms open to a sun-soaked patio with comfortable seating and great views. Guests can order from a menu of breakfast items which are packaged picnic-style and delivered to the room each morning. Guests can opt to enjoy their breakfast in their room, on the patio, or on the beach. 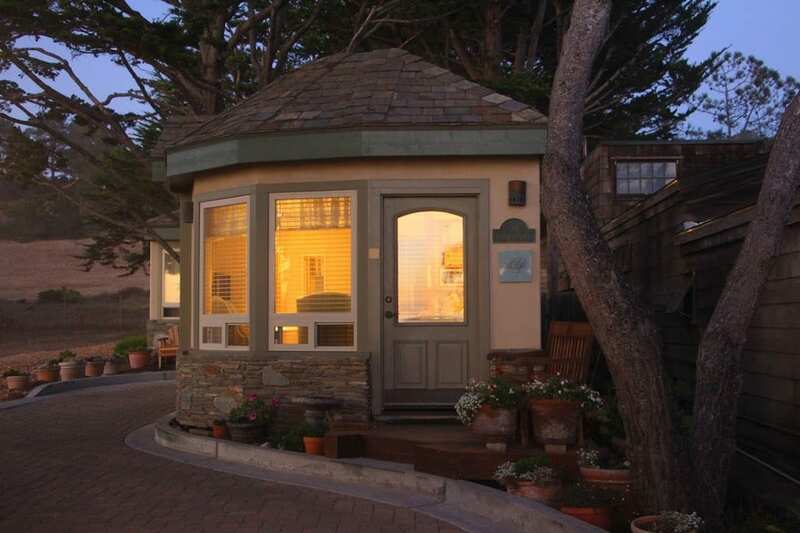 Just a stone’s throw away, the Blue Dolphin Inn’s sister property, Moonstone Cottages, is an enclave of three private cottages tucked among the cypress trees with ocean views. 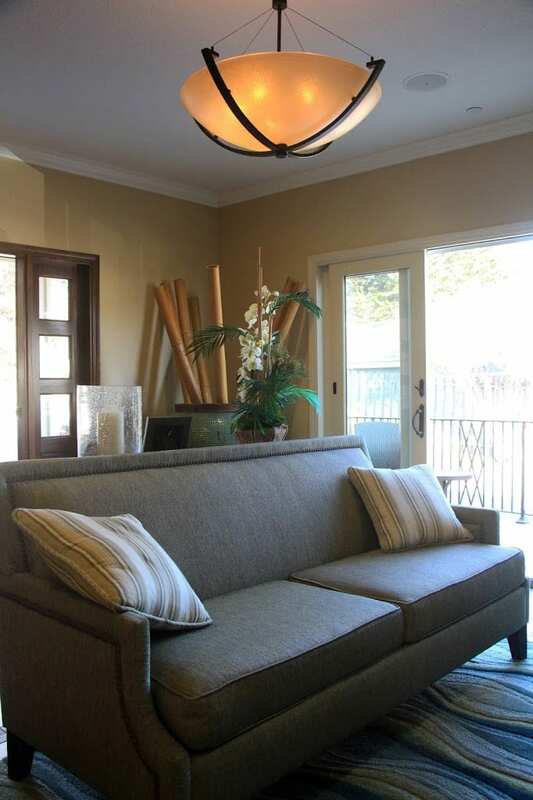 The cottages have all of the same amenities of the inn, but with kitchenettes and a cozier feel. Last fall, I holed up for a night in the middle cottage, the Garden Gate. Coming in from a long walk along Moonstone Beach, I poured myself a bubble bath in the deep, jetted spa tub and then curled up in bed with a book and a glass of wine in front of the fireplace. 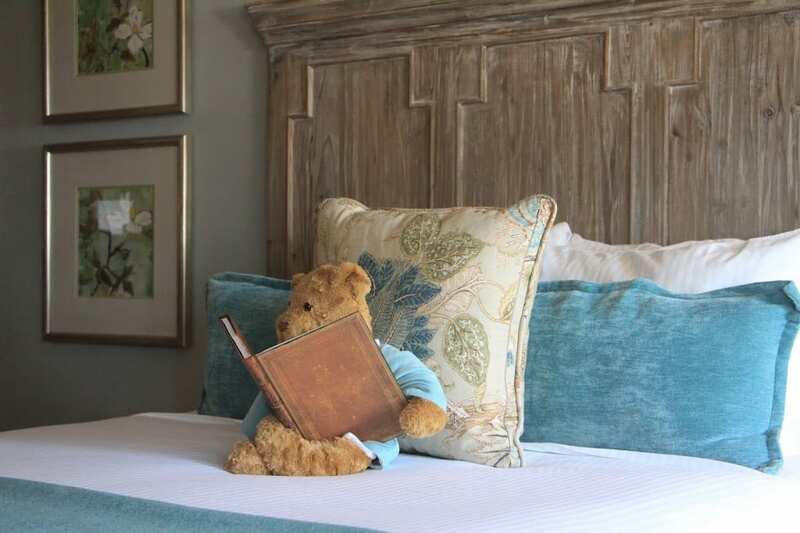 The bed had a wooden headboard the color of driftwood and a teddy bear propped up among the throw pillows. There were chocolates on the bedside table. A warm breakfast was delivered picnic-style to the cottage in the morning. I sat on the wooden bench on the porch outside my door and enjoyed a breakfast sandwich with fruit and cheese while listening to the waves. When I was finished, I walked across the street with the binoculars from the room to see if I could catch sight of whales. One of the assistant managers at the FogCatcher Inn is a former U.C. Fresno literature professor who had honeymooned at the inn decades ago. With its newly-revamped rooms, charming English cottage style exterior, and ocean views, the inn remains a romantic destination, but with a full range of hotel amenities and room types, it’s equally welcoming for families. The 60-room inn was completely renovated in spring 2015 with driftwood-inspired furnishings and a modern palette of white, gray, and yellow. The new, crisp white bathrooms feature large mirrors with soft illumination on all four sides, bamboo accent pieces, and Molton Brown bath products. All of the rooms feature gas fireplaces, refrigerators, microwaves, Keurig coffeemakers, 48” HD TVs, and iHome docking stations. 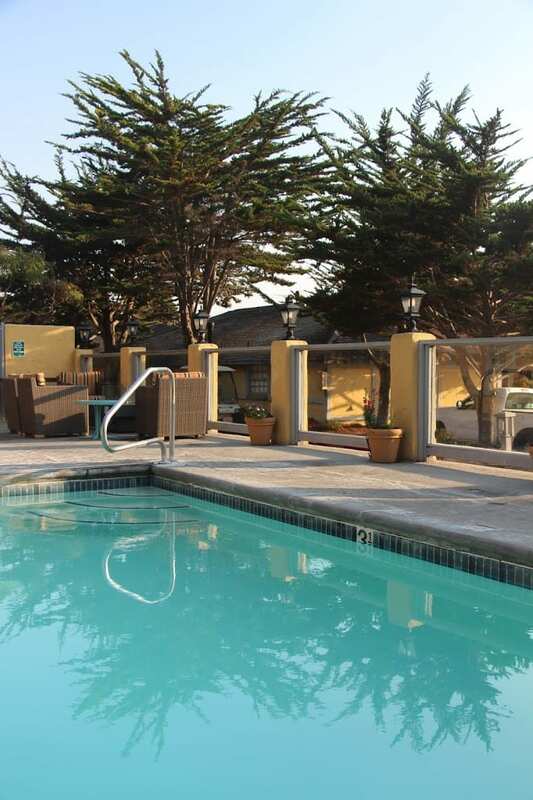 The inn’s sundeck at the back of the property has a heated pool, hot tub, and a fire pit with views of the ocean. 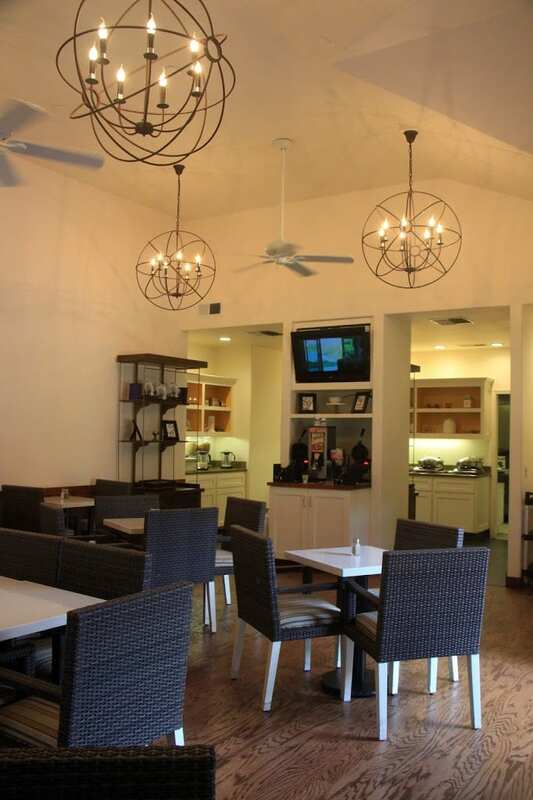 A complimentary, expanded continental breakfast is served each morning in the dining room from 7 to 10 a.m. The breakfast includes eggs, sausage, waffles, oatmeal, pastries, and more. Adjacent to the dining room is an outdoor patio for enjoying breakfast with a view. 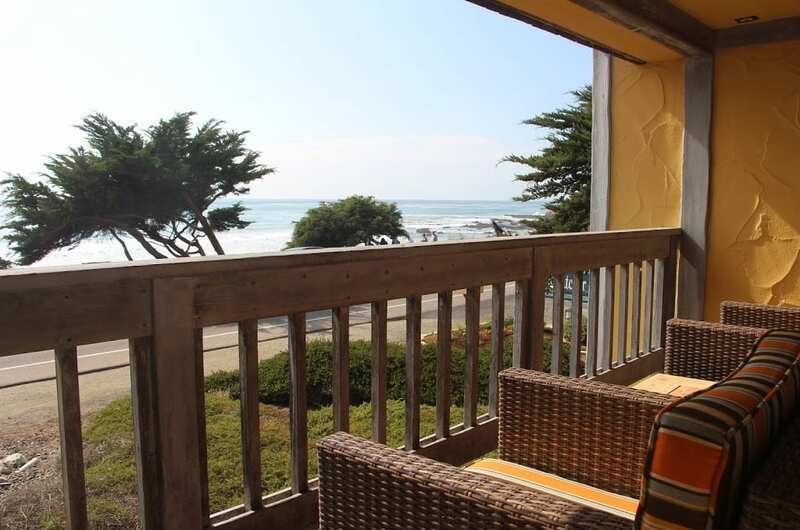 The inn is located directly across from Moonstone Beach with easy access down to the sand. While Moonstone Beach is the main attraction for these three inns, there are other nearby attractions you won’t want to miss. Just a short drive away is Fiscalini Ranch Preserve. The 430-acre oceanfront preserve is a former dairy farm and cattle ranch that features sweeping views and meadows. Hiking, biking, and horseback riding trails traverse dramatic ocean bluffs and forested ridgelines that rise 400 feet above the sea. 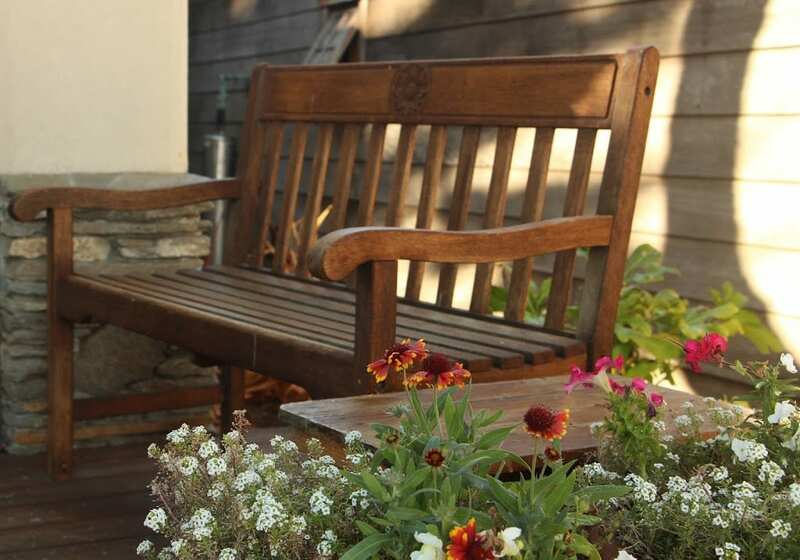 The charming village of Cambria, which is located on the east side of Highway 1, offers an eclectic mix of shops, art galleries, wine tasting rooms, great restaurants, and a farmers’ market on Fridays. The area’s most famous attraction, Hearst Castle, is located just 10 minutes north of Moonstone Beach off of Highway 1. Other nearby attractions include an elephant seal rookery and the Piedras Blancas Light House.